How do I purchase a striped lower? You would probably have to buy a regular one, then take it to someone who does engraving or someone who does cerakoting and ask them to put stripes on it. Buy a blem one and hope that the blem has the right stripes you are looking for??? Yep, what James and Barry said. You'll probably have to pay a transfer fee to the FFL. FYI, these are excellent lowers! Send them money, have it shipped to an FFL holder. It's easier if they are already on file with PSA, if not contact your FFL holder and get them on file with them. Your FFL holder needs to be on file with PSA and you can ship it there not to your home. You will need to let them know to expect it. Since this is a stripped lower this can be shipped to california as an FFL and treated as a long gun? BEST ANSWER: It can be shipped to California, however it is put in an ‘other’ category and can only be sold to ages 21+ if that is your concern. It can be built into a long gun, and then an intrafamilial transfer can be done to someone under 21. It is not treated as a long gun until it is built into one. If this item is in stock at a nearby store, can i purchase it there instead of online? BEST ANSWER: Stores will honor online pricing. Yes, but it may not be on sale at the store ...I have run into that myself. Can you make an AR-9 from this lower? BEST ANSWER: You COULD using a Colt patterned conversion kit but you would probably be better off using one of PSA's dedicated 9mm lowers in either the Glock or Colt patterns. You would spend more $$ than just buying the proper lower and building it the right way. It's best not to try to make a gun do something it wasn't intended to do. I used mine to build an AR-9; check Stern Defense for mag adapters. I bought the Beretta adapter and ran 600 rounds so far with zero failures and no cleaning. marked multi of course . it would be nice to have the lower with the fixed ejector though to me . 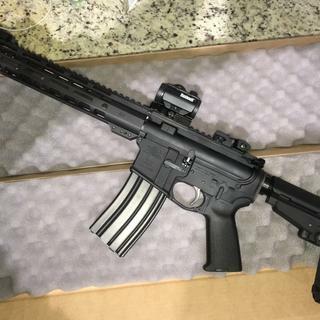 Can Palmetto put name and address on lower for a SBR build? BEST ANSWER: PSA does not currently offer that service. I would recommend taking the lower receiver to a local trophy shop to get it engraved. Be very careful how or who you have engrave on a lower. Saw a guy at the gun show with a laser engraving machine, he could put your girlfriend's face on it. That’s exactly right. Most trophy shops can also “paint fill” their engravings in almost any color you want for either added emphasis or subdued. What does high self lower mean? BEST ANSWER: A high shelf lower prevents the installation of an auto sear. Some binary triggers will not work with a high shelf lower. Can’t put full auto trigger in it. 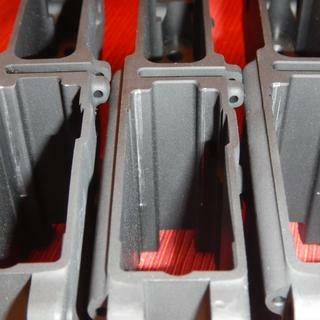 Low shelf lowers provide clearance for drop in auto seers. High shelf does not. That's the way I understand it. 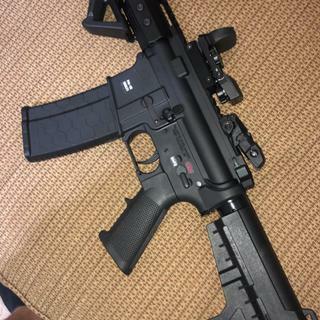 What is the pin size on these lowers? BEST ANSWER: They are mil-spec lowers meaning that any mil-spec lower parts kit will fit it. The fire group pin holes are .154 if that helps. Thanks to all. Just making sure. 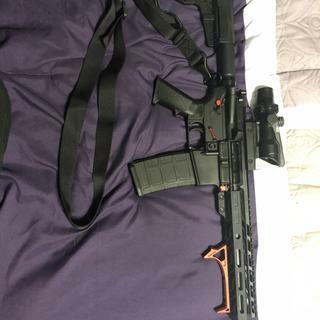 Is this a rifle lower or can it be used for a pistol build? BEST ANSWER: The FFL who transfers this receiver to you should indicate it as 'other' on the ATF transfer form (4473). As an 'other' you can then build it into either a rifle or a pistol. Also, you must be 21 years old or older to purchase a receiver. Any lower regardless of the markings can be used as a pistol lower...the law states that if you buy a complete rifle you can not use that lower for a pistol. So any stripped lower or complete lower my be used as a pistol. Just don’t buy a complete rifle and slap a short barrel upper on it. This is just a basic stripped lower. Since it has never been configured as a rifle it can be used to build a rifle or a pistol. You can use it as a pistol build. When you buy a stripped lower you have control of what you build. It can be used in both just makesure your configuration legal. Can be used for either. It can be used for either a rifle or a pistol build. No difference in lowers for pistol / rifle. Yes. It can be used for either. You can build it either way. This can be used for both. 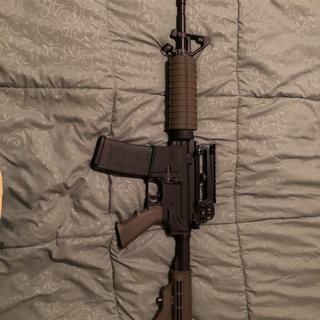 Does this lower have a serial number? The picture doesn’t show one. If there’s no SN does it need to ship to an FFL? Yes as long as that’s the only thing it’s used for. You can use it on any pistol but do not mix with rifle length setup. Your fine because it was never a rifle. Send a letter to the atf field office if you want written confirmation. Its free and only takes about a month to get a reply. Yes, you can build either a rifle or pistol. Check with your local state laws though, there may be a regulation in your state. Yes, you can use this for a pistol build. As long as there is no fixed buttstock. Will this work with the psa aac300 blackout pistol kit? BEST ANSWER: Short answer yes, most all calibers use a standard AR lower like this .223/.556/7.62x39/6.8spc/.450/.458/300black our etc. .308/30-06 and the like will not. This lower will make an excellent base for you 300 build! Yes, it will work perfectly with the aac300 blackout kit. It uses the same at-15 5.56 mags and FCG. Yes of coarse, the reason it is stamped multi on serial stamp. No I think you need a PA-10 lower for that. Do the #1728 lowers have an upper tension screw? The lower I received IS drilled and tapped for a 1/4×28 upper tensioning screw. No, but the two that I have purchased fit the uppers beautifully. No other bits with this. it is truly a stripped lower in every since of the word. Can this be legally use to make a pistol? BEST ANSWER: Not a legal expert, but they are stamped "multi" so... Yes. I have a pair of these I built, one as rifle, one as pistol. That being said, it's your responsibility to to check your local laws. Yes. Just don't put a pistol upper on a rifle lower without the proper tax stamp. Yes. It doesn’t have to say “pistol” on the lower. Fill out the form 1, wait and assemble. ATF needs a model and serial. Correction, I as a understand if you state it as too be assembled as a pistol you can. I understand it can be if you state that is too it’s to assembled as a pistol. Is a ffl required to purchase in store? BEST ANSWER: Yes, when it transferred to your FFL you will have to do paperwork and have it called in to Uncle Sam! These are sent to an Ffl. Will this work for the AR pistol? BEST ANSWER: Absolutely, I just finished a pistol build with one. BEST ANSWER: Absolutely, just like peanut butter and jelly! Keep in mind that putting these items together constitute a Short Barrel Rifle and require a Federal Stamp. If the upper had a 16" BARREL, you would not need to worry. The one indicated is shorter. Yes. Check your local and state laws as some vary but these two items will work together. They should. Except the barrel everything else is standard AR parts. Can this lower be used for a pistol build ? Yes it can. I used this exact same one on my 7.5 in. Barrel pistol build. As long as you register it as a pistol when you pick it up from the ffl holder that you have it shipped to. Yes, you just can't ever register it as a rifle after putting it together. Can this be used for a pistol build? How do I designate it for pistol on the forms? BEST ANSWER: Yes it can, that's what I used mine for. There is no designation required for building a pistol, just know what can and can't be put onto a pistol when it comes to accessories. Yes, I used it for one of mine. All that you have to do is tell your gun shop that you have it shipped to, that it needs to be registered as a pistol when you go to pick it up. Yes, you can use this stripped lower to build a pistol chambered in 5.56 or .223. Registration requirements vary from state to state so check with your local FFL or state police for specific details. Yes it can absolutely be used for a pistol build. Now as I’m sure you know any barrel sorter then 16” would require a SBR tax stamp. To avoid this tax stamp building a pistol is the best way to go. Is this lower compatible with any lower build kit? Yes as long as the lower build kit is for an AR15 style rifle. Can this be used for a 300 blackout kit? BEST ANSWER: Yep. I did. 300 blk runs on the ar-15 lower. It uses the same guts and magazines. It only requires a different barrel. Same BCG as 5.56 too. You can really make a lower and just switch out uppers. Yes - as can any mil-spec ar15/16 lower. 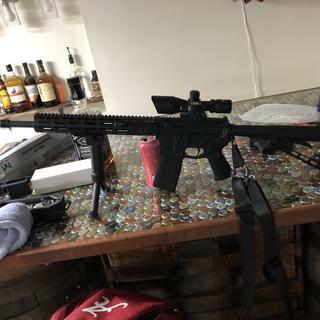 Can you build a 6.5 grendel with this lower? BEST ANSWER: Yes you can. It will go right on a Grendel upper. What’s the smallest size Barrel (upper) can I use on this stripped lower ? Without having to do any extra paper work. This is a question you submit to the ATF or a lawyer. Is this lower capable of supporting an 224 valcory caliber? BEST ANSWER: Yes. Only difference between the 5.56/223 AR15 and the 224 Valkyrie is the bolt and the barrel. Which 11.5” barrel 5.56 PSA upper is recommended for this lower? BEST ANSWER: Any PSA upper will serve you well, as long as it has the options you desire. i.e. M-Lok or similar, flash suppressor, etc. Any 5.56 PSA upper will work fine on this lower. BEST ANSWER: high shelf or low really only makes a difference if you have a registered drop in auto sear . there is a bit more metal but it makes little difference . The difference is price and maybe some cosmetic amenities. You do have upgrades such as ambi mag release, flared mag well, engraving etc. The bottom line, is the lower mil-spec and of tight tolerances. That will determine if it will be a part of your build. Can i use this with the 9mm hybrid uppers from PSA if i used a 9mm lower PSA kit and had a magwell conversion for glock mags? BEST ANSWER: Yes, be aware sometimes there are figment issues with conversion kits and require some Gunsmithing> personally I would stay away from conversions and get the correct lower that accepts 9mm Glock magazines. I am a gun store owner and gunsmith, I am giving my opinion from past experiences. 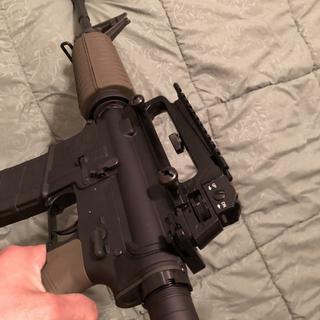 What Glock magwell adaptor would work with this lower? BEST ANSWER: Yes, it is a mil-spec lower and all of the different 9mm magwell adapters are designed to work with mil-spec lowers. The other option is using a Mean Arms Endo Mag. Does the finish on this receiver more closely match the nitride or the phosphate finish? Is this a "stripped" lower? Yes, this a completely stripped lower. The lower is well finished, with smooth lines excellent lines. Will be great for my next biuld. Correct. Completely stripped. I confirmed was compatible with standard spring and pin kits. Yes this is a stripped Lower. Just as displayed in photo. Yes, comes as is with no extras. Yes, this is a stripped lower. WOULD I NEED TO DO ANY MILLING TO THE LOWER ON MY PART? BEST ANSWER: Negative. No milling needed. 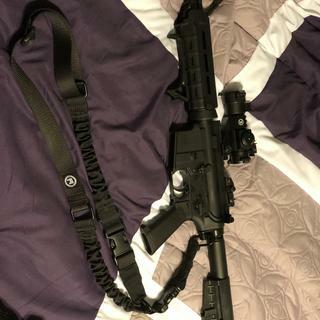 Just need lower parts kit (spring/pin kit, trigger group and trigger guard, ect). No, there’s no milling. I’ve used psa parts and other companies and all have worked flawlessly. Not at all. I have built several of these out and have never had to mill the lower receiver. No you shouldn't. Everything is done and ready for a kit to be placed into it. Not at all. The lower is complete and ready to add your parts kit. no milling whatsoever. Its 100% ready to build out. No, the ones I have purchased were ready to build. No you will not. Comes ready to start your build. Just received these 3 lowers purchased during a sale, and all three are definitely blems. Didn't order blems, but for $40 each, I guess I cant really complain too much. I have built several PSA-15s using these without issue. As usual with PSA, a great buy. It is as advertised. The price is what keeps me coming back. I’ve bought $160.00 stripped lowers in the past. Besides the obvious, there’s no difference when it comes down to what it’s meant to do. I prefer no-frills. I have used these for a many builds with no issues. Well-made and everything just fits. As good as any forged lower out there and the price can't be beat. Had it for a year now and no flaws still. Great quality. One of the best sporting rifle companies there is!!!! PSA has some of the best products out there. Great prices too. 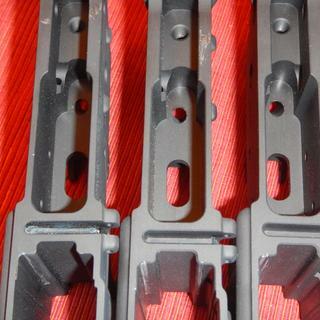 These lowers fit lpk’s better than most any lower receivers there are. I would highly recommend PSA parts to anyone. I really like this product. This is my first time building any guns and this was really easy to start with. It's a great thing to have, especially for how cheap it is. 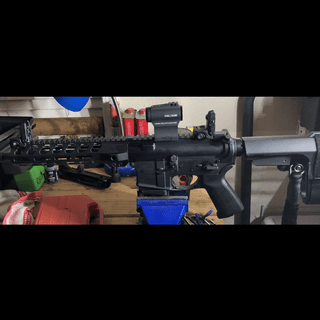 Assembled shorty AR15 pistol without any problems. Shoots and looks good. Amazing price. A very good stripped AR15 lower at a terrific price ! 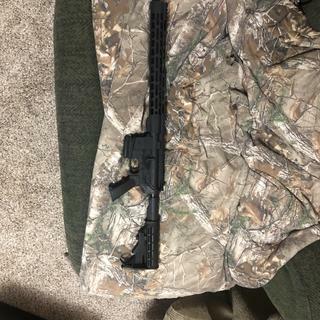 For my first time building an ar15 5.56 nato was great. Great value for a lower receiver. No blemish and it was perfect mill work. I can’t complain about a thing! It’s a obvious choice. 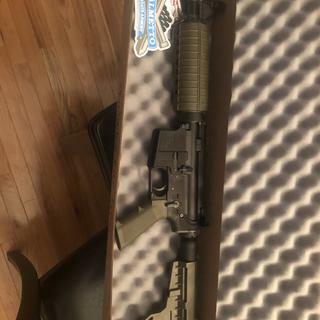 Bought this for my first ever AR pistol build. Not a single problem. Parts fit and came together perfectly and still working great today. Would definitely recommend and buy again. I think its a pretty solid well constructed mil spec lower. This lower is high quality. Very well priced and delivered very fast. Great fit up, seems to be sturdy. Will continue using PSA! Cleaned up lower receiver and discovered black specs that appears to be some sort of over spray, mag well had finish missing, installed psa sba3 pistol lower parts kit and discovered the front take down pin wont close all the way, now some finish is missing from having to force the take down pin closed, very disappointed with this being my first psa lower receiver and paying almost $100 with transfer fee, have installed many psa lower parts kits into Anderson lowers with zero problem, hopefully customer service takes care of this or i am on the fence about buying another lower from psa!! Great price. Excellent workmanship. Overall excellent product. Received product quickly and it was as expected. Good experience. Would do it again. 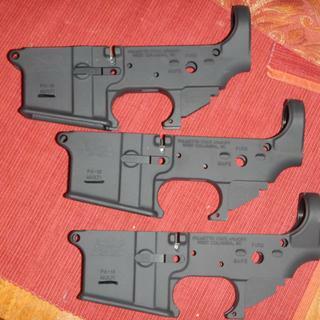 Great quality lower that is a perfect, cost effective start to any build. Great lower. Very good quality and a great price. No issues at all. Can’t beat it! Perfect finish, everything fits perfectly, inexpensive compared to other lowers, what more can you ask for? The fit and finished are perfect. I have built 2 so far and they turned out great!!!! It works as supposed to. Had no issues installing this to my 300 blackout upper. Excellent value on a quality lower. I mean, come on PSA! You have such great deals and the quality is excellent for the price. Caught that 39.99 sale and couldn’t resist. Budget hobby build and it’s better than any model car you could ever work. It’s addictive! Excellent lowers. Why pay more than you have too? Hard to justify anything else. Absolutely stellar fit & finish. Nice clean threads throughout. Fantastic price. Hard to justify anything else. Surface finish it tough-as-nails. First lower I’ve purchased. Paired it with an eagle lite upper. Worked great. I have not assembled it but it looks nice. Shipped next day. Great lower with a great kit! PSA has delivered a quality product on time and at a very reasonable cost!! Needless to say they have a customer for life. Will be ordering from them in the near future. Thanks Palmetto!! I purchased this lower to build a new pistol. I had zero issues with the lower, my only issue with my build is a receiver pin that wasn’t milled perfectly. Guess what I contacted Palmetto and they sent me a replacement pin. They stand behind their products, I’m looking forward to their MP5 product line. Awesome bang for your buck! Product arrived on time in perfect condition. Fit and finish was second to none. If your in need for a very nice lower for your build look no farther. Thanks PSA! Good price but defective manufacturing on safety. Everything fits great, works as designed! Used this for a pistol build kit, fit and finish is amazing havent had any problems with it at all. I have had no problems from this lower.